Omotesando (表参道) is a pedestrian-friendly street stretching from Harajuku to Aoyama in Tokyo. Dubbed Tokyo’s Champs-Élysées, this tree-lined boulevard is a luxury and boutique shopping destination, housed with major fashion brands' flagship stores. The area’s unique and sophisticated restaurants and cafes also make Omotesando and Aoyama one of Tokyo’s hot spots for trendy and hip crowds. From glamorous shops to one-of-a-kind architecture to trendy restaurants and cafes, this neighborhood will surprise and delight you at every turn. 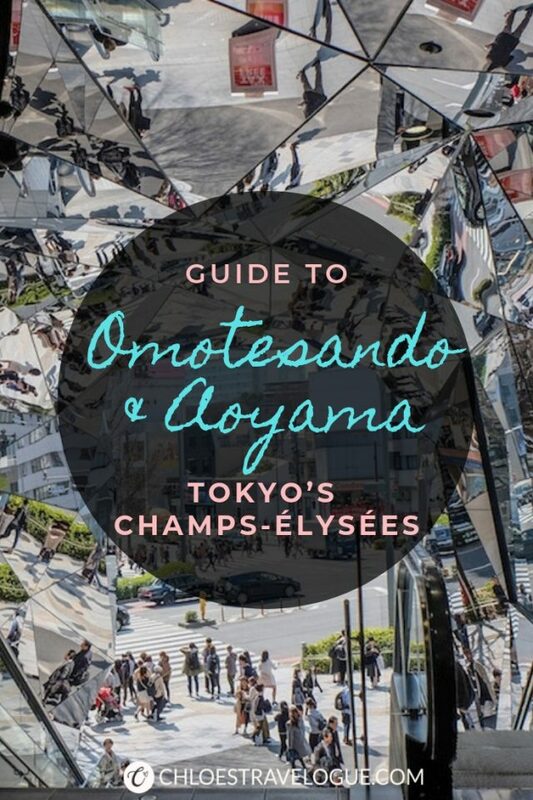 In this article, I will introduce places worth your visit and things to do in Omotesando and Aoyama, Tokyo, including 1) the best shopping destinations for luxury, trendy and souvenir shoppers, 2) art and architecture, 3) Omotesando restaurants, 3) Omotesando cafes and dessert shops, and 4) hotels in the area. Omotesando Hills is an upscale shopping complex with 100+ shops. (It’s not the name of the area or a hill!) Here you can find a wide range of brands from Valentino and Jimmy Choo to Japanese fashion labels. Not too enthusiastic about shopping? Before you shrug it off, consider these interesting facts about Omotesando Hills. 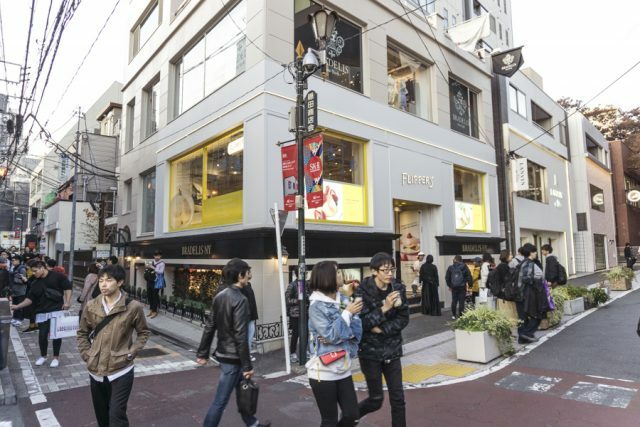 Opened in 2006, this shopping center quickly became a landmark of Omotesando. A world-renowned Japanese architect Tadao Ando designed the building to be in harmony with the area’s landscape; the 12-story building features an interesting slope structure, making it only 6-story tall to keep the height at the same level as the Japanese zelkova trees along Omotesando. Clever, eh? While Omotesando is home for many flagship stores of the fashion industry’s biggest names, in my opinion, you can easily skip these shops. Well, it’s possible they might carry limited-edition purses for Japan. But at the end of the day, you can find these brands in any metropolitan cities around the world. What interested me were Japanese designers’ flagship stores in Aoyama. Take Issey Miyake, for example. Many of his flagship stores are located in the area, featuring his avant-garde, tech-driven collections from Pleats Please Issey Miyake, me Issey Miyake, Haat, and Bao Bao. By the way, if you are into Bao Bao bags, you might want to snag one (or a few) here because, being the local Japanese brand and a tax-free shop (be sure to ask for it! ), they were more affordable than in the U.S. If not, you may enjoy his signature exhibit-like displays throughout the stores. If you are a fashionista who appreciates high-quality fabrics and hand-made garments, Comme des Garçons flagship store is another one I highly recommend a visit. The other Japanese name in the fashion you might recognize for Y-3 Addidas collection is Yohji Yamamoto. You can also check out his avant-garde clothing at the flagship store in Aoyama. Your visit to Omotesando wouldn’t complete without exploring further into the backstreets and hidden alleys. Although Omotesando is known for its posh shopping experience, you will be pleasantly surprised with the indie and hip vibe off the main boulevard. Cat Street (Google Map) is one of those backstreets worth your visit. It is Tokyo’s best-kept secret shopping destination. This area is where the young and hip in Tokyo come to find unique fashion items. Curious why it’s called Cat Street? If you imagined cute cats roaming around the street, sorry to disappoint you. It has nothing to do with cats. Nor is the name come from the catwalk. From what I found, the second-hand or antique goods were called ‘rat goods’ and the people hunt for them were called ‘cats’ in the past. Make sense, right? The best way to explore Cat Street is to go there without much expectation and go with the flow. When you find the shop you want to check out, just get in! You never know what treasure you will bring back home. I don’t want to ruin your fun, but let me introduce two stores I stumbled upon because they are too good to pass. RagTag is one of the most popular second-hand shops on Cat Street. This store is a haven for budget fashionistas. Here you can find gently used designer goods at an affordable price. I swiftly passed through men’s collections on the 2nd floor to see luxury purses and accessories on the 3rd floor. Wow, the collections and the meticulous display they have…! I lurked at those Louis Vuitton, Chanel, Gucci and Prada babies without realizing dusk had fallen outside. Beatriz is a fun clothing and fashion accessories shop with many unique designs. Some of the clothing there is from the store’s own collection. I loved their asymmetrical, flowy and feminine designs. If you are a fan of James Perse, I think you will enjoy it as well. As common as in many other Asian countries, small independent shops in Japan like this carry limited size selections. You will only find small, medium and large in Asian standard; and some are one size only (labeled "F" for free size). On the bright side, this shop is easy on the wallet, compared to other shops in Omotesando. The pricing here is reasonable. And it is a tax-free shop, which means you can claim your tax back if you spend ¥5,000 and above. Hunting for souvenirs to bring back home? Despite its reputation for being posh, you can find many unique one-stop shops with affordable and cute Japanese souvenirs in Omotesando. It is difficult not to be curious about Hashi Ginza Natsuno. Who can pass the endless and orderly display of rows and rows of chopsticks on the window? This place is more than a chopstick shop, though. Here you can find so many kawaii (cute in Japanese) souvenirs that you will proudly bring home from Japan. Don’t have a list of things to buy in Japan yet? Where to buy souvenirs in Tokyo? Oriental Bazaar got you an answer. Oriental Bazaar is a one-stop shop for Japanese souvenirs. In the midst of overflowing posh and trendy shops in Omotesando, its unique traditional architecture with red and green contrast stand out, and you can spot this shop from miles away. Here you can find any souvenirs you can imagine to buy from Japan and beyond, ranging from kimono, yukata, kokeshi dolls, antique, books, chopsticks, Japanese pottery, etc. Oriental Bazaar Location on Google Map | Opening Hours: 10 am - 7 pm, Closed on Thursday. Kiddyland is a five-story toy store where you can find a vast selection of Japanese character goods including Hello Kitty, Rilakkuma, Snoopy, Pokemon, Totoro, Gudetama and so many more. Although named Kiddy-land, this mega toy shop is a fun place both for adults and kids because, who says you can’t be a kid again? I went to this store a few years ago and had a hard time getting out. (If you follow my Instagram, you might have noticed I’m a big sucker for anything kawaii, namely Hello Kitty.) This time, I decided to skip the store as I was running late for dinner. But it was tough to pass! Tokyo is one of the best architect cities in the world. And Omotesando is home to the noblest and most distinctive architecture in Tokyo. The most impressive architecture is perhaps the Prada flagship store. It was built in 2003 by Herzog and DeMeuron - the Swiss architect firm behind the Beijing Olympic Bird’s Nest stadium. Its diamond-shaped glass exterior is eye-catching and allures passersby to look into the austere interiors. When I peeped inside, it felt as if I saw it through a convex lens! There is also the Audi Form, called “The Iceberg” that looks like a giant crystal trophy soaring to the sky. What about Tod’s Omotesando building by the award-winning architect Toyo Ito? And the hour-glass shape Keyaki building is an iconic building nestled with Hugo Boss. The list goes on with Tokyu Plaza Omotesando Harajuku, Nezu Museum, Dior Omotesando, Gyre, Omotesando Hills (mentioned above) and etc. If you have enough time, it would be fun to roam around in the Omotesando Aoyama neighborhood to spot these architecture eye candies. 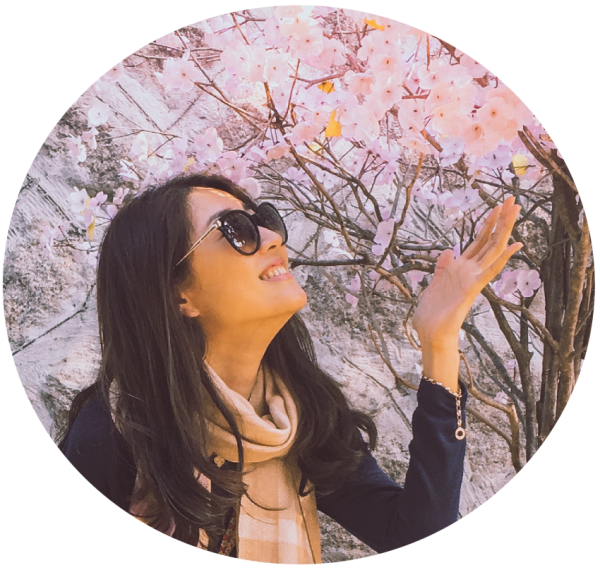 If you’d like to learn more about this state-of-art architecture or have a tight schedule (i.e., spend more time on shopping), then book this Omotesando Architecture Tour by the professional guide. The Espace Louis Vuitton Tokyo is an art space located on the 7th floor of Louis Vuitton Omotesando flagship store. The famed Japanese architect Jun Aoki designed the airy space surrounded by glass windows. The gallery often hosts contemporary art exhibitions by French and Japanese artists. And the admission is FREE! 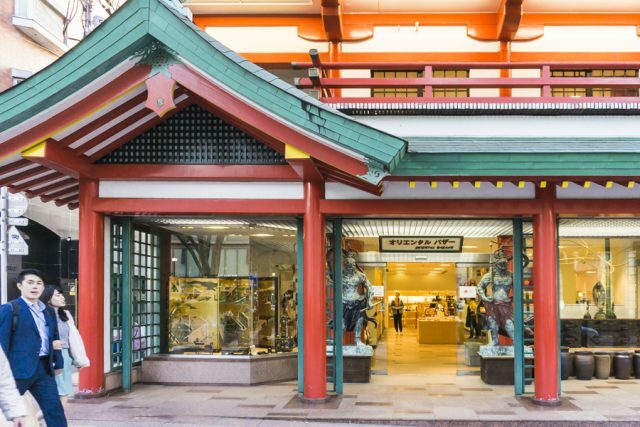 As Omotesando has been the epicenter of many trends and cultural movements in Tokyo, it’s no surprise that museums and art spaces find their way to the area. But I was particularly intrigued by the new wave of luxury brands are making to support artists and engaging in the art world. Totally off the topic, but I think it’s worth mentioning for ladies. It seemed to me that Louis Vuitton Omotesando carefully and intentionally hand-picked the top models of Japan to be their doormen. These attractive, model-figured doormen were taller than me (mind you, I’m 5’11”), which are a rare find in Japan! Isn’t Espace a good excuse to visit Louis Vuitton in Omotesando? Or, the other way around! Omotesando is a place to try Tokyo’s trendy and fancy restaurants. The Omotesando restaurants can cater to any palate whatever you crave for at the moment. Although the options are not limited to Japanese cuisine, I prefer to stick to local flavors when traveling. I want to introduce a few Japanese food options for you to consider. Tonkatsu Maisen is a Japanese Tonkatsu chain restaurant. It has multiple storefronts throughout Japan, but its main store is in the back alley of Omotesando. Maisen’s Tonkatsu is famous for the variety of fresh pork from different regions of Japan. During the lunch hour, Tonkatsu Maisen gets crowded with Japanese businesspeople, locals and tourists. However, the Aoyama location is more spacious than it looks from the outside, and the line moves pretty quickly. I took advantage of its lunch special (¥990), which cost significantly less than a regular menu (around ¥3,000+). In a rush, you can grab a Maisen’s another specialty - Tonkatsu sandwich - on the go from the outside to-go station. Japanese Soufflé Pancakes are a fluffy pancake that is either sweet or savory. They are delicious even for someone like me who cannot stand eggy flavors (e.g., egg tart). It’s so light and airy that it melts in your mouth. There are two Japanese Souffle Pancake restaurants in Omotesando on my list: Flipper’s and A Happy Pancake Omotesando. With all the rage now, sure enough, there was a long line of people waiting outside of Flipper’s. So I passed this time because I had it many times at other restaurants before. But if you do make it, please let me know how it was. If you ask me which one dish you must try in Japan is, I would say kaiseki ryori. Kaiseki ryori is typically served at a Japanese ryokan, and sometimes at the specialty restaurants. Omotesando features two Michelin-starred kaiseki ryori specialty restaurants: Tagetsu and Sekihou Tei. Experience traditional Japanese culinary culture at one of these restaurants! It will be a memorable dining experience for sure. What is Kaiseki Ryori? Click here to see how my experience was with this state-of-art Japanese cuisine. Omotesando is the epitome of the growing espresso culture in Tokyo. So many specialty coffee shops and espresso bars worth the visit are popping up in this area. And here, expect no less than Japanese craftsmanship with attention to details and almost-obsessive perfectionism. 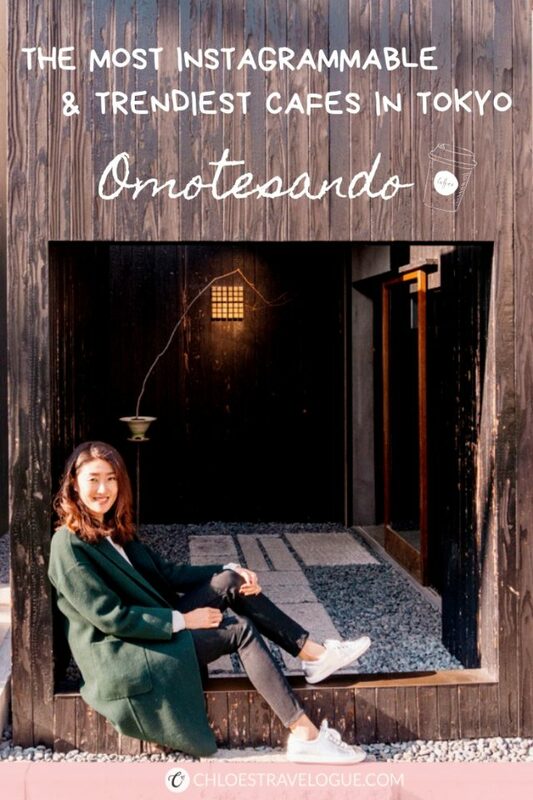 It’s so easy to get distracted with trendy shops, futuristic architecture and ultrachic fashionistas on the streets, but take a moment to relax at one of the cafes in Omotesando. LATTEST Omotesando is THE espresso bar to go to in Tokyo. Its popular menu LATTEST supposedly has a more vibrant flavor than a cafe latte and has a cult following. But this espresso bar is also famed with its barista Mizuki Shida who rose to fame following the appearance on the Netflix Original reality TV show, Terrace House: Boys & Girls in the City. Some people visit the coffee shop to see her. Either way, LATTEST Espresso Bar is an excellent place to chill and enjoy a sip of coffee (or matcha latte). Mame means “beans” in Japanese. So you could guess Koffee Mameya probably means coffee beans shop. Well, only if I had figured it out earlier. Koffee Mameya is not a traditional coffee house. There is no table or chairs. Absolutely no espresso drinks. It is all about the beans! (and freshly-ground pour-over coffee to go only). Baristas here will guide you find the right beans for you. Since I had no idea on my first visit to the shop and needed to rest my feet, I went over to another coffee shop. But surely this tiny beans store had a full of coffee aroma in the air and Japanese zen atmosphere. Café Kitsuné Aoyama is created by the French fashion label Maison Kitsuné. (The Maison Kisuné Tokyo flagship store is right around the corner.) What happens if French chic meets Japanese attention to details? The answer is this classy cafe, where a well-brewed cup of coffee delights your morning (or afternoon) in a stunning space created by blending traditional Japanese and modern architecture. 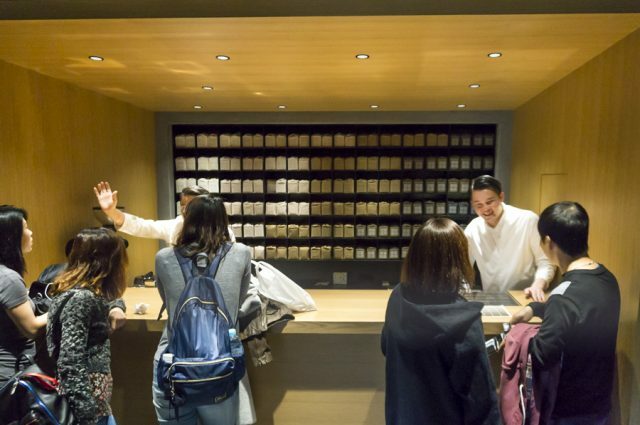 They serve coffee, espresso drinks and Japanese tea lattes like matcha latte and hojicha, as well as specialty drinks such as espresso tonic and seasonal beverages. The menu includes Kitsune cookies, French toast and some baked goods. Their coffee and cafe latte were excellent although French toast was a letdown. If you are in the neighborhood, grab a cup of coffee and relax here. You will need to pay attention to find the bamboo-lined entrance from the street. Aoyama Flower Market Teahouse in Aoyama is a lovely place to have a brunch, afternoon tea or desserts. As you can imagine from the name, this teahouse resembles a botanic garden with blooming flowers and plants everywhere. I heard that their French toast adorned with edible flowers is popular. Too bad I had to pass this one because there was a waiting line at 3:30 pm on a weekday. But I’m saving it on my list for next time. 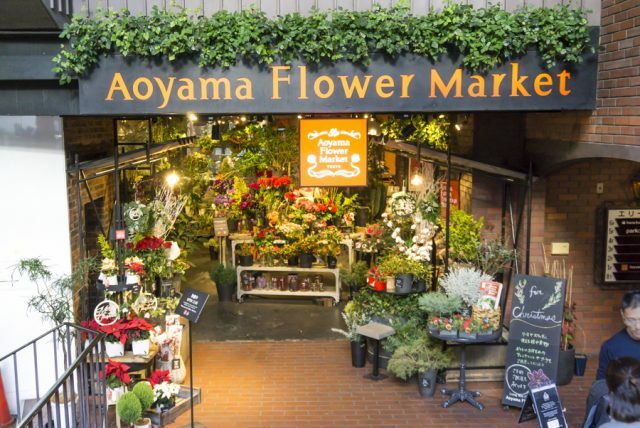 Aoyama Flower Market is indeed a floral shop located throughout Tokyo. So be sure to head to the teahouse and ready for a queue. HIGASHIYA man is a high-end wagashi (Japanese confectionery) shop. In the Aoyama neighborhood flourishing with luxury retailers, I did not expect to find a Japanese sweets store. On the way to Café Kitsuné Tokyo, I luckily stumbled upon this shop; I was drawn by the tiny yet Japanese chic storefront adorned with Noren (Japanese curtain) contrasting against the red brick building. It would have been a pit stop. Instead, stepping into Higashiya opened up the door to the amazing world of wagashi. Stop by this Japanese sweets shop whether to sample bite-size snacks like a mochi filled with a dried persimmon or hunt for a beautifully boxed edible gift. You will be glad you did. 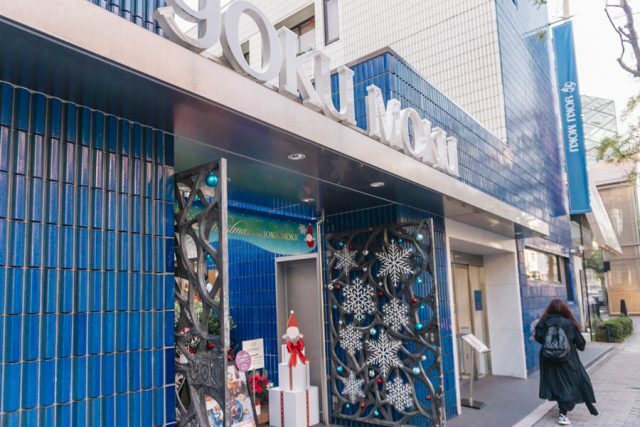 YOKU MOKU Aoyama flagship store has been a staple in the neighborhood since 1978. The bold royal blue color of its tiled exterior makes it hard to miss it. But you might also have seen its signature rolled Cigare cookies in the royal blue tin box in Neiman Marcus or Saks Fifth Avenue. The Aoyama location serves unique confectionery only available at the cafe, as well as buttery cookies in a box to pick up on the go. For more hotel options in the neighboring area, you might also look into Shibuya hotels as well.